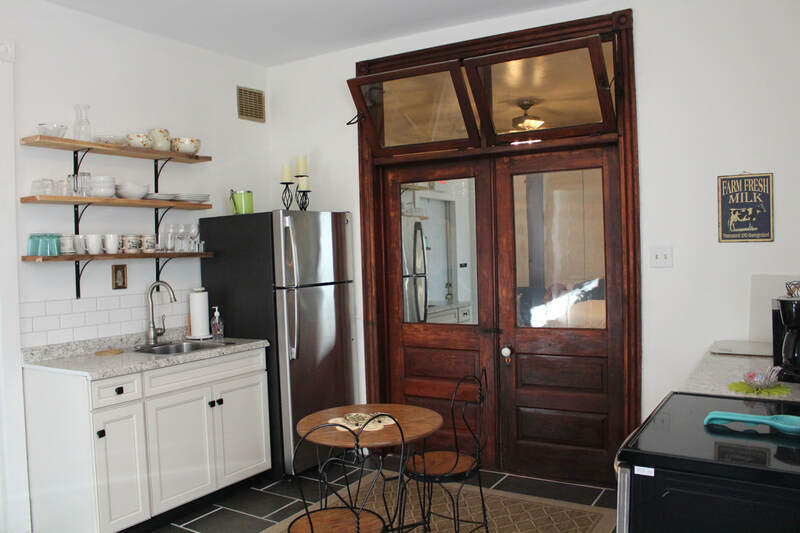 Our Guesthouse is part of Jim Thorpe's history - housed above an old soda fountain store, this spacious townhouse allows our guests to enjoy old world architecture that continues to define Jim Thorpe. The building renovations have retained late 19th-century design details, and gives guests an opportunity to admire architectural history with the original storefront and display windows still intact. Modern amenities include a large modern kitchen with ceramic sink, stainless steel appliances and an array of cooking accessories and dishware. Bedrooms feature brand new plush area rugs. All linens and towels are provided. Our large, open living room has comfortable seating with accent chairs and an ottoman that will give everyone a place to relax. Details abound such as polished wood pillars, new hardwood floors and the original staircase and large windows overlooking the street that honors the past but isn't stuck in it. Located in the center of town, our Guesthouse is an excellent base for exploring some of the town's top attractions. Guests appreciate the peaceful setting on the upper two floors of a historic building, and is located across the street from a lighted - clock tower church. Sleeping arrangements: 3 bedrooms- one King and two Queen beds. There is a fold out futon located in an alcove. The nearby bathroom features a cast iron tub. 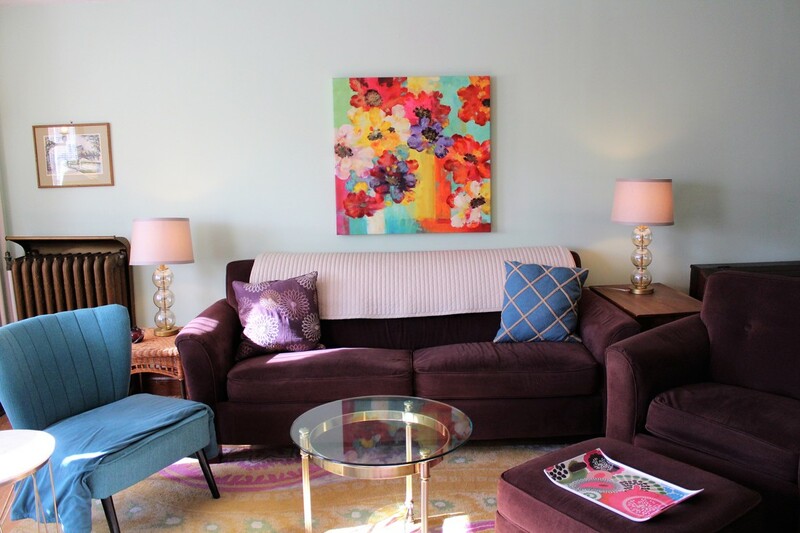 A stylish vacation getaway for two, includes both vintage and modern elements for our guests to enjoy. Your surprise may be from the architecture that still remains with stately 10 - foot ceilings, an original built in cabinet, and a mirrored double door with over door transoms. Spectacular polished wood pillars showcase elegant 19th century craftsmanship. Crystal chandeliers add a lovely, romantic ambiance for your stay with a shimmer of light on the wall for a one of a kind experience. Jim Thorpe is perfect for a weekend retreat with its close proximity to Phila. ( 1.5 hrs) 2 hrs to New York City and less than 3 hours from Baltimore. We accept reservations through VRBO/HomeAway. Choose your lodging reservation to experience this unique rental property. Enjoying the weekend with your family or friends? With room for 2-6 people, this option has three bedrooms (King, Queens) a full kitchen, and 1.5 bath. Nightly rates start at just $165. This apartment is the perfect rental for two! It features one queen bed, a fully equipped kitchen, and 1.5 bath. Nightly rates start at the low rate of $139.